We recently examined the range of venues available by county within our database and were shocked to find some counties are extremely poorly served. 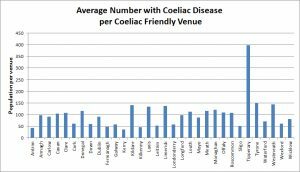 The graph clearly shows Tipperary as the worst offender with just under four hundred people for every venue offering gluten free food. 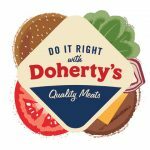 With a much higher density of shops, the major hubs naturally fared well such as Dublin and Cork but the top three were a little more surprising with Kerry top followed by Antrim and Kilkenny. 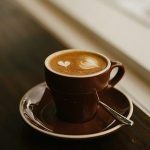 To sufferers of Coeliac disease the numbers are probably not a surprise but for the hospitality venues out there, it clearly shows a lack of awareness of the problem and the potential to tap into a thriving market. The number of venues was first catalogued by county. 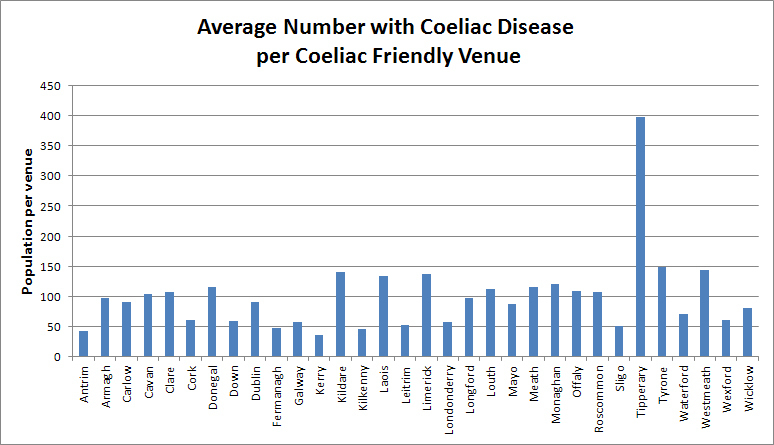 Population figures based on the 2011 census were divided by one hundred (the estimated number of people officially diagnosed with Coeliac disease) and the resulting number was divided by the number of venues in the relevant county.